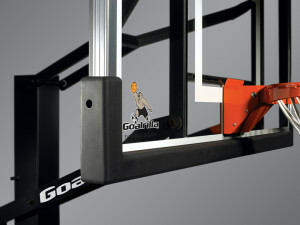 Become the best with Goalrilla Basketball goals! 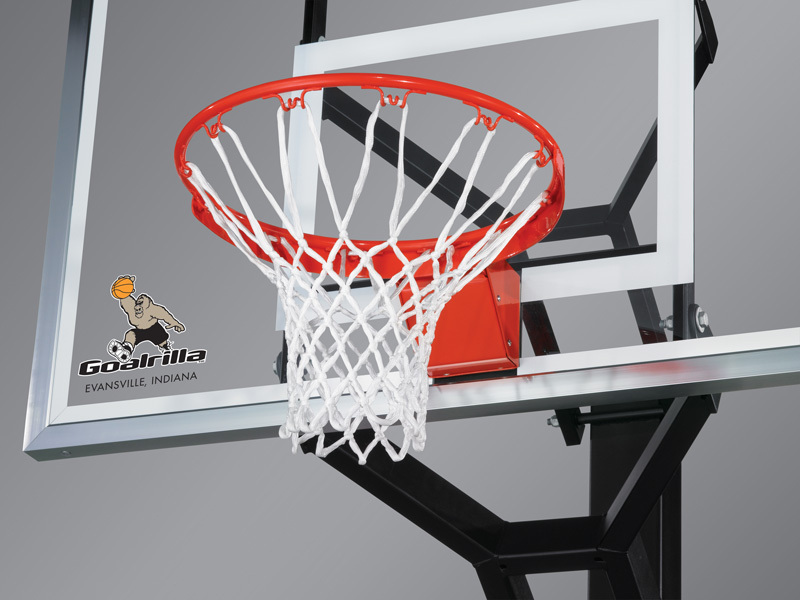 Only a Goalrilla basketball system take the performance characteristics and durability of a professional indoor arena basketball hoop and build it into a fully-adjustable, outdoor hoop. These hoops are built tough from the ground up. From the powder-coated finish that protects its showroom look from the elements, to its welded wide span arms that help this basketball system take any punishment you can dish out, Goalrilla basketball hoops are built to last. Why? Because that’s what it takes to be a Goalrilla. 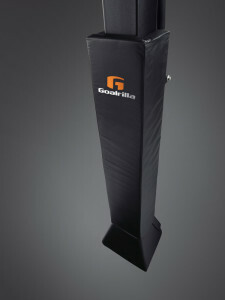 Every Goalrilla System – PLAYS LIKE AN ARENA SYSTEM, WITHSTANDS THE ELEMENTS, AND CAN BE RELOCATED TO A NEW HOME. How do they achieve this in each and every basketball system? They integrate the same advanced technology into every product. No other system on the planet can match Goalrilla’s unique engineering. From top to bottom, Goalrilla never compromise when building THE TOUGHEST BASKETBALL SYSTEM ON THE PLANET! A residential system or an outdoor institutional system. Either way you look at it, it’s the toughest basketball hoop they’ve ever built. 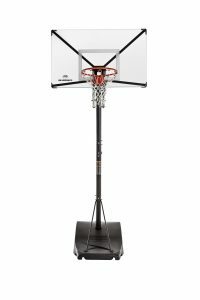 72″ x 42″ backboard. True arena-sized backboard. 6″ x 8″ pole size. The ultimate in rock-solid rigidity. 1/2″ thick tempered glass backboard. Delivers true arena rebound performance. 4′ overhang. Delivers a larger area for play beneath the goal. Dual welded torsion bars on its lower board arms to prevent backboard sway. 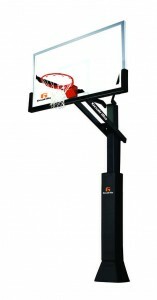 The CV series is one of the newest additions to the Goalrilla basketball systems family. 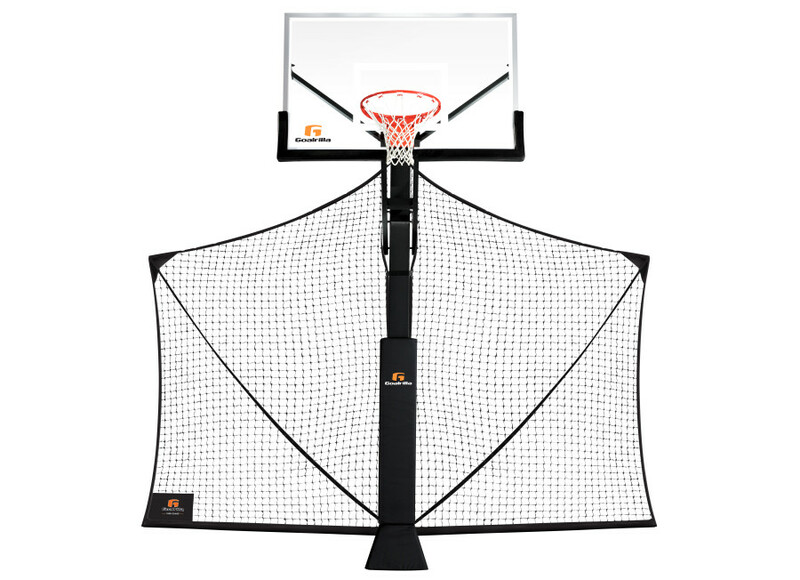 The GOALRILLA CV utilizes the proven design inspired by the E1 and integrates it into two smaller, ultra-tough basketball systems – the CV72, CV60 and CV54. The CV is capable of handling over 1000 lbs. of vertical torque to the rim. These three CV basketball systems are built to take on anything the suburbs can throw at it. Proud members of THE TOUGHEST BASKETBALL SYSTEMS ON THE PLANET, they’re pure Goalrilla through and through! 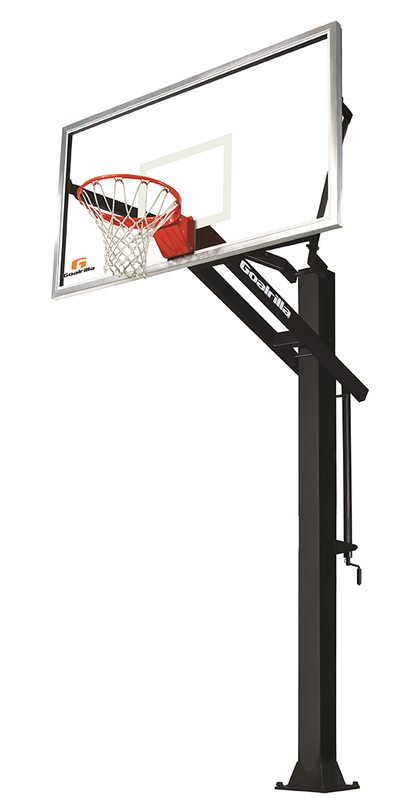 The Goalrilla CV utilizes the proven design inspired by the E1 and integrates it into two smaller, ultra-tough basketball systems – the CV60 and CV54. The CV is capable of handling over 1000 lbs. of vertical torque to the rim. Includes square pole pad with flared anchor cover. Also includes a backboard pad. It’s the Goalrilla line that redefined what outdoor basketball goals should be. Tempered glass backboard paired with a one-piece steel pole, makes other adjustable basketball goals seem less than acceptable. All of their outdoor basketball goals are built to be just that… outdoors. And the GS line is what set the standard. With its powder coated finish and Dacromet coated hardware, the GS line is ready for anything the elements can throw at it. And it will look showroom new for generations. This is one line that other outdoor basketball goals look up to. That’s what it takes to be a Goalrilla. 6″ x 6″ pole size. 3/8″ thick tempered glass backboard. Delivers true arena rebound performance. Another Goalrilla classic. A massive Goalrilla 72″ x 40″ tempered glass backboard, supported by welded wide-span extension arms and a massive one-piece 6″ x 6″ steel pole. Safety, durability and arena-quality play, are just a few things it takes to be a Goalrilla and the GS72 has each one built in from the ground up. 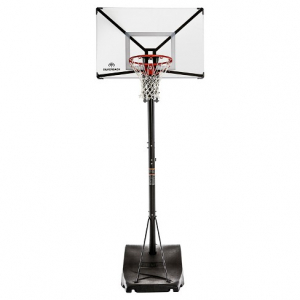 Its powder-coated finish protects it from the elements while its massive tempered glass backboard delivers arena rebound characteristics. The GS72 is typical Goalrilla – since “typical Goalrilla” means tough. That’s what it takes to be a Goalrilla. 5.5″ x 5.5″ one-piece steel pole size. The ultimate in rock-solid rigidity. 5″ x 5″ one-piece steel pole. The ultimate in rock-solid rigidity. 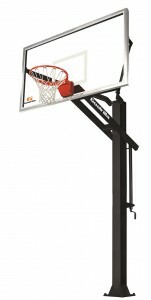 A lineup of in-ground basketball hoop systems that combine performance features with great value. The patented 2-piece Swedged Pole, Tempered Glass Backboard, DuPont Powdered Steel and Wide Span Board Arms, allows for arena style play in the confines of your own driveway. The goal’s 8mm tempered glass 60” X 33” backboard and the pro-like break-away rim can withstand the intensity of your shot – and the pole pad will help absorb your inertia, and slow you down so you can snap back and pick up that rebound. There’s a 2.5’ overhang for extra playing-action room under the board. 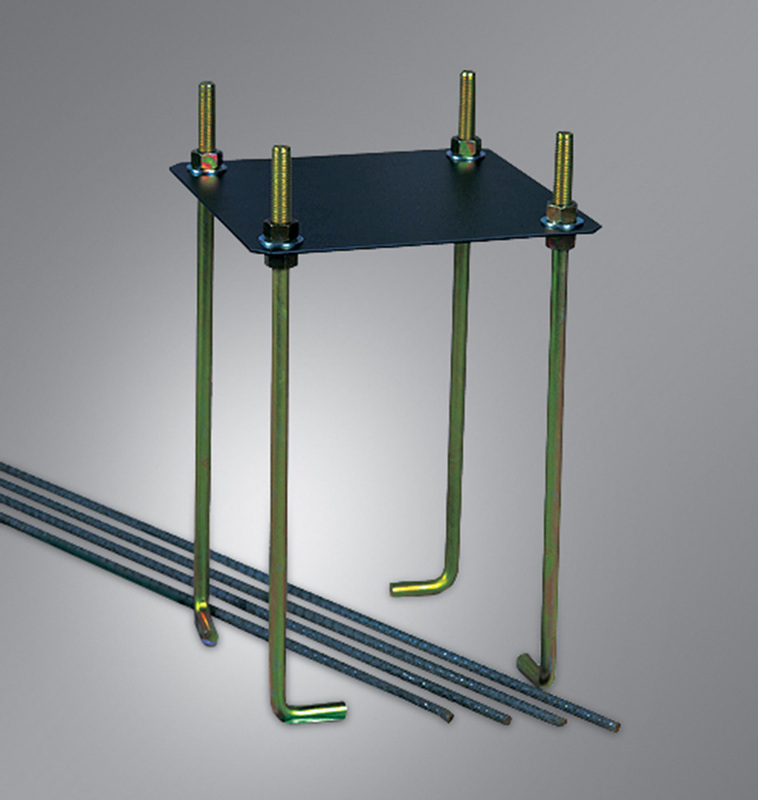 The anchor-bolt system allows for easy leveling, and makes it simple to take the goal along to a new home. Don’t worry about the rain or the snow or the sleet – the DuPont Powder coating and zinc coated hardware protects against rust and corrosion, and means your goal is ready as soon as the weather clears. It’s easy to adjust from 7.5” to 10” with the all-steel actuator. It’s all covered – even the glass – by a 7-year warranty, and it comes in one box for easy transport. 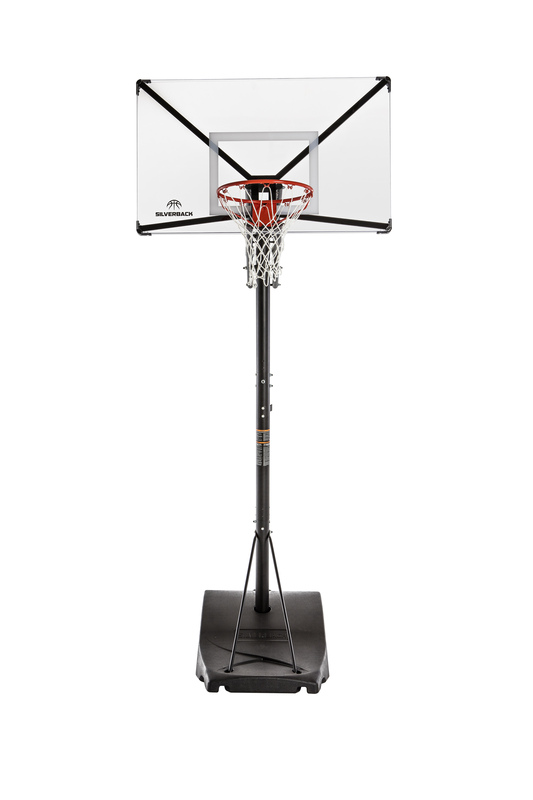 The goal’s 5mm tempered glass 54” X 33” backboard and the pro-like break-away rim can withstand the intensity of your shot – and the pole pad will help absorb your inertia, and slow you down so you can snap back and pick up that rebound. There’s a 2.5 foot overhang for extra playing-action room under the board. 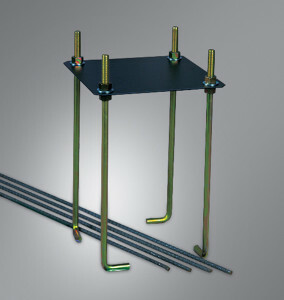 The Anchor-Bolt system allows for easy leveling, and makes it simple to take the goal along to a new home. Don’t worry about the rain or the snow or the sleet – the Dupont Powder coating and zinc coated hardware protects against rust and corrosion, and means your goal is ready as soon as the weather clears. It’s easy to adjust from 7.5” to 10” with the all-steel actuator. It’s all covered – even the glass – by a 7 year warranty, and it comes in one box for easy transport. 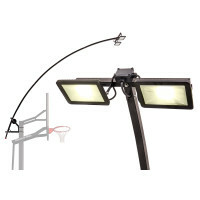 Head for that lay-up running hot – this professional-quality goal is ready for anything you can serve up.It begins with a special two-piece pole that simulates the characteristics of a one-piece upright, with in-ground rust and corrosion protection that’s second to none. 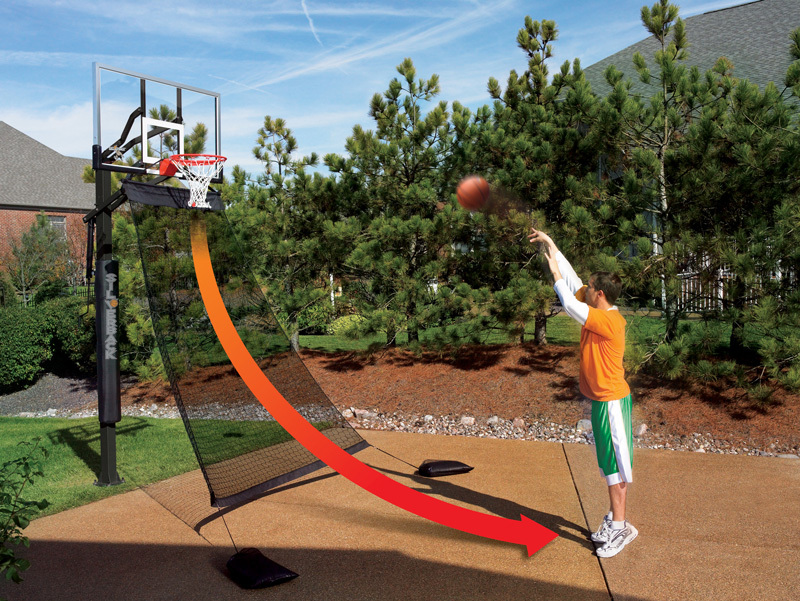 The goal features a two-foot overhang to give you increased playing area under the board. Play like a pro with the break-away rim and the all steel actuator for easy and precise goal adjustments from 7.5” to 10”. Don’t worry about overrunning after your shot. There’s a good thick foam pole pad to absorb your fastest impact. And don’t worry about the weather. Zinc coated hardware wards off the elements and keeps your goal in playable condition. Comes with a 7- year limited warranty on everything including the glass. 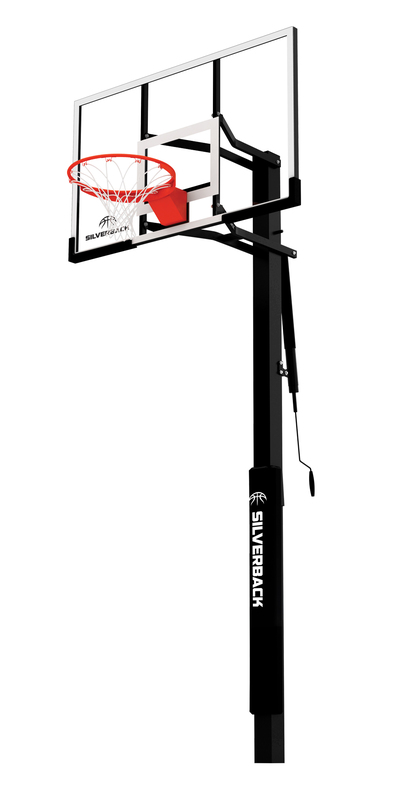 The Silverback NXT is pushing the envelope for portable basketball hoops. The advanced technology and strategic engineering of this goal makes for faster assembly, improved rebound, superior strength, unmatched stability, and effortless transportability. Quick-Play – The NXT allows you to assemble your goal in approximately 90 minutes, so you can start playing. 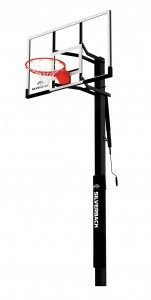 The Silverback NXT is pushing the envelope for portable basketball hoops. The advanced technology and strategic engineering of this goal makes for faster assembly, improved rebound, superior strength, unmatched stability, and effortless transportability. Stabili-Frame – The Silverback NXT features Stabili-Frame technology, creating unmatched stability for increased playability and added safety. 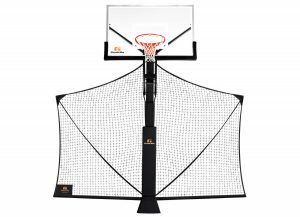 Infinity Edge Backboard – Unlike traditional backboards that are framed by a plastic or metal edge, the Silverback NXT features an Infinity Edge Backboard with edges that wrap around to the back of the backboard as one continuous material. 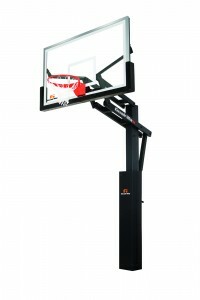 Ergo-Move – The sloped base design on the Silverback NXT creates a completely unique weight distribution that allows the goal to be moved by two people with much greater ease than traditional portable basketball goals. Quick-Play – The NXT allows you to assemble your goal in approximately 90 minutes, so you can start playing.